Solar Panels Sacramento: What Maintenance is Required? One of the great things about installing solar panels on your Sacramento home is the fact that they require very little maintenance on your part. You’ll be able to enjoy clean, renewable energy without worrying about daily maintenance to your system. However, low maintenance doesn’t mean no maintenance! There are a number of quick and easy things you can do for your solar panels to ensure they are working as efficiently as possible and giving you the best return on your investment. This quick guide will help answer your questions about how to properly maintain your solar panels without wasting a lot of time or money. Have questions about solar panel maintenance? Feel free to get in touch with the team at West Coast Solar. We’ll answer any questions that you might have right away and can send a team member out to your property to help you out in person, too. Solar panels are going to work best when they can capture as much sunlight as possible. Dirt, dust, and debris on the surface of the panels can decrease their energy production and efficiency. You should inspect them a couple times a year to determine if they need to be cleaned or if any debris might be blocking the cells inside. If they need to be cleaned, you can do so by simply spraying them off with a garden hose. Don’t use any sort of cleaner or de-icer on them, either; the chemicals and end up damaging the surface of the panels and cause them to lose efficiency. Your solar energy panels will come with some sort of method to monitor their energy production. It might be an app on your phone or an online website you can log into. Using whatever means you have to monitor it, familiarize yourself with them and check on the energy production at least monthly. A sudden drop in energy production is your first clue that something is wrong with your system and it needs attention. The first step to take is to clean your solar panels; if that doesn’t remedy the drop in production, you’ll need to call in a professional. Give them a visual inspection. Solar panels are made out of tough materials that are made to endure the elements, so you shouldn’t have to worry about extreme temperatures or weather. But it’s a good idea to give them a good visual inspection once or twice a year and see if there are any signs of damage. Panels that are off-kilter or cracked should be addressed right away. Visual inspections should be done often so you can catch small issues before they become big problems for your energy production. Your solar panels are most likely going to be mounted on your roof. That’s where they are going to capture the most sunlight to create the most energy. Getting up onto your roof to maintain your solar panels yourself could be very dangerous, though; falls are one of the most common at-home accidents that send people to the emergency room. It’s safest to stay off of your roof if at all possible. Thankfully, most of your solar panel maintenance can be done from the ground. When cleaning them, use a spray attachment on your garden hose and aim at the panels from the ground. For your visual inspections, use a pair of binoculars and step back from your house (usually across the street or down a block will do) in order to get a good view of the roof. These methods will help you keep your solar panels in good working condition without putting your safety at risk. If you do get up on the roof, make sure that you use all the proper safety equipment and work with a buddy who can get help if needed. Like most of the systems in your home, solar panels are going to work more efficiently when they’ve been properly maintained. They are going to be able to capture more of the sun’s energy to create electricity for your home and do so in the most efficient manner possible. 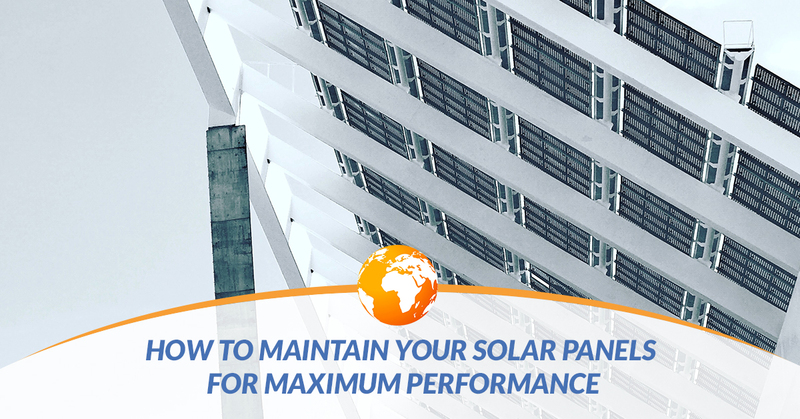 Plus, the right maintenance will keep your solar panels working for a longer period of time. That means your initial investment is going to last longer and you’ll get a bigger return on your money over time. Because the maintenance for your solar panels is so minimal, it should really take about a couple minutes every year to complete. In exchange, you’ll get a long-lasting system you can depend on! One of the additional benefits of regular solar panel maintenance is that you’ll be able to spot damage and problems as soon as possible. If you do see damage to the solar panels on your roof or suspect something is wrong due to a drop in production, it’s important that you contact West Coast Solar as soon as possible. The sooner issues with your solar panels are addressed, the faster they can get back to production clean, affordable energy for your home. If you allow problems to go on, not only will you lose out on potential energy savings, the problems on the panels could become more severe and require more expensive repair work. Most repairs are very affordable if they are caught early, so don’t be afraid to call them in right away. Need help installing, repairing, or maintaining a solar energy system on your home or business in the Sacramento area? Our team can help! Get in touch with us today to learn more about our services and how we can help you harness the power of the sun to run your home or business. Give us a call or contact us through our website and a member of our team will get to know more about your project and provide you with a free estimate!